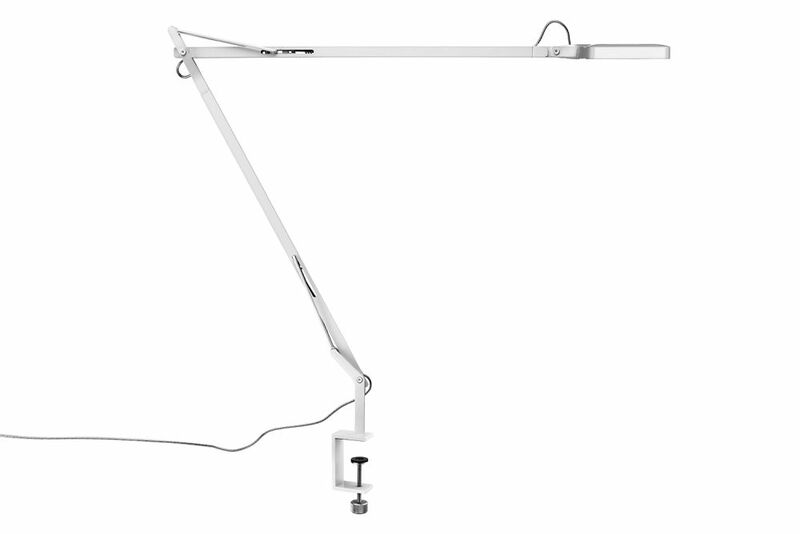 Launched in 2009 and already internationally recognized as one of the most iconic task lamp in the design world. Kelvin LED light designed by Antonio Citterio assistant Toan Nguyen is now available in a new version improved by a green mode, a new technology which compensates ambience light to save even more energy. Antonio Citterio was born in Meda in 1950, started his design office in 1972, and graduated in architecture at the Milan Polytechnic in 1975. Between 1987 and 1996 he worked in association with Terry Dwan and, together, they designed buildings in Europe and Japan. In 1999, with Patricia Viel, he founded Antonio Citterio and Partners. The office operates at international level developing complex long-term projects, all scales and in synergy with a qualified network of specialist consultants. Among the several typologies of built works: urban plans, residential and commercial complexes, production facilities, conservative restructuring of public buildings and planning of spaces for work, offices, showrooms and hotels. The firm is also active in the sector of corporate communication and implements projects for temporary events and exhibitions. The office took part in numerous national and international design competitions and has been awarded UNI EN ISO 9001:2008 certification; in September 2009 the name was changed to “Antonio Citterio Patricia Viel and Partners”. Antonio Citterio currently works in the industrial design sector with Italian and foreign companies such as Ansorg, Arclinea, Axor-Hansgrohe, B&B Italia, Flexform, Flos, Fusital, Hermès, Iittala, Kartell, Maxalto, Sanitec Group, Technogym, Tre Più and Vitra. In 1987 and in 1994 Antonio Citterio he was awarded the Compasso d’Oro-ADI. Since 2006 he has been full professor of Architectural Design at the Mendrisio Academy of Architecture (Switzerland). In 2008 he was honoured by the Royal Society for the Encouragement of Arts, Manufactures & Commerce of London, which gave him the title of Royal Designer for Industry.